Zymoetz Copper River Photos U-shaped valley after avalanche June 2002. Copper River Photos (Zymoetz) U-shaped Valley following avalanche of June 2002. 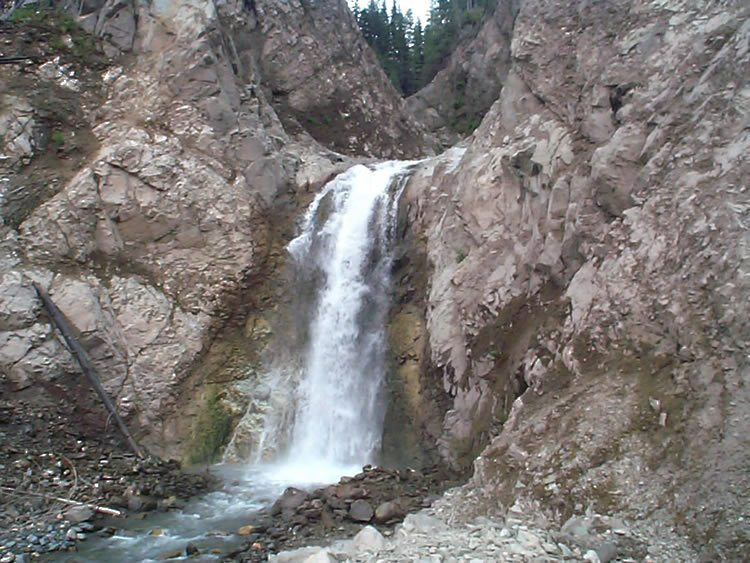 A classic u-shaped falls above the forest service road on the Copper (Zymoetz) River where the avalanche of June 8th, 2002 blocked the Copper River, below. The road has been replaced at a higher level and a new bridge has been constructed. Photo: July 4, 2004.